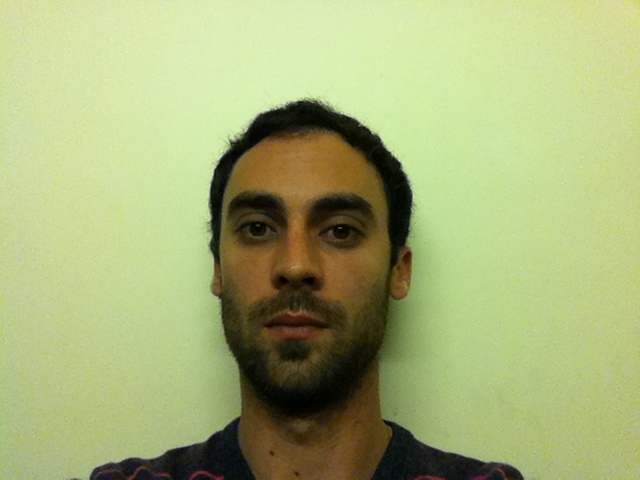 Julien Guillamat discovers music composition in 2005 at the University of Birmingham (England), where he is currently completing a PhD in composition with Professor Jonty Harrison. His music follows mainly the French tradition of musique concrète and acousmatic music. The live instrumental music still takes an important place in his work. He’s recently been finalist of the International Composition Competition METAMORPHOSES in Brussels. As an active member of the Birmingham ElectroAcoustic Sound Theatre (BEAST), he plays and spatialises his own and others composers’ work around the U.K. and Europe. His interest in sound projection systems and the interpretation of acousmatic music on these systems is growing and is being investigated as part of his PhD. He obtained, in 2010, a first prize of the 6th Acousmatic Music Spatialisation Competition L’Espace Du Son. In 2009 he went to Musiques & Recherches to take summer classes in sound spatialisation with Annette Vande Gorne in Brussels and computer programming for live music (Max/MSP) with Benjamin Thigpen in Ohain (Belgium). Julien actively collaborates with other artists. He is general manager of SOUNDkitchen.